Workman Publishing Company, 9780761147480, 266pp. 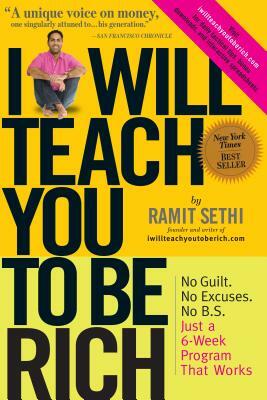 Ramit Sethi writes about money, business, and psychology for a million readers each month at iwillteachyoutoberich.com. He’s been featured in Fortune, the New York Times, the Tim Ferris podcast, and the Wall Street Journal. He studied technology and psychology at Stanford and lives in New York.